Love is truly all you need. Why? Because the quality of your life is determined by the quality of your relationships. Despite the fact that human connection is the thing we all crave most in life, few people devote the time and energy they should to their romantic relationship. We often take our significant other for granted, or waste time looking outside the relationship to find happiness. Whatever your current romantic situation, there are ways to strengthen your relationships and strategies to learn that will help you find your perfect partner and having a different perspective can help you do just that. Reestablish a deep connection with your significant other or find the partner who will complement your needs by working with a Tony Robbins Results Coach by your side. A professional coach will help you identify your romantic needs, master the communication skills required for a successful relationship and uncover incredible insights about what it takes to maintain a wildly passionate connection. Your Results Coach will work with you to focus on many aspects of healthy, passionate relationships – one being communication. Communication is at the center of all successful relationships, it’s not just the way we communicate verbally with our partners or potential partners. Communication transcends speech. It’s about body language, physical chemistry and the small gestures that make you and your partner feel safe and secure in your bond. Professional coaches are trained in triad psychology, meaning they’re masters in all forms of communication related to language, emotions and the body. Results Coaches are also trained in neuro-linguistic programming, which enables them to re-establish effective, positive communication habits and help you discover ways to strengthen your relationship. You’ll examine common relationship stressors that can break down your intimacy and connection over time. You’ll also look at issues that are preventing you from finding a partner in the first place. With the help of your Results Coach, you’ll learn how the 4Rs – resistance, resentment, rejection and repression – can ultimately lead to the dissolution of your shared connection. The first step in breaking free from the relationship stonewalls you’re facing is by re-establishing effective communication. Your coach will guide you in learning habits that help you to create more openness, playfulness, joy and connection in your relationship, instead of falling back on old habits that create pain. You’re looking for a change in your love life, and a Results Coach can advise you on things to do to strengthen your relationships or help you on your search for your ideal partner. A Results Coach can provide a new perspective on your love life and can identify issues and strengths you may have overlooked. By working with a professional, you’ll be diving in to repair what’s gone wrong in your current or past relationships and learn essential strategies for the future. You’ll end your time working with a Results Coach by emerging with the tools and practices needed to create or maintain a long-lasting, passionate relationship. 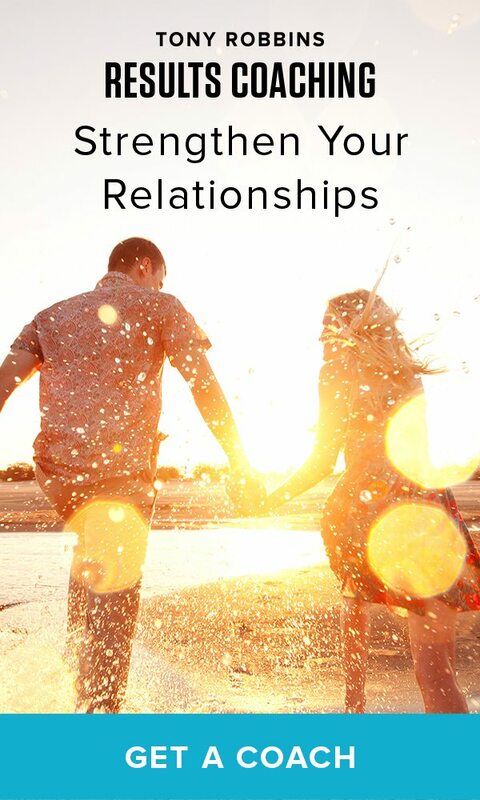 Take a look inside the world of Results Coaching and how it can positively affect your love life by downloading the Strengthen Your Relationships communication guide below. Are you ready to improve the quality of your love life and better your entire world? Sign up for a complimentary 30-minute Results Coaching session today, and get acquainted with the strategies needed to either create or sustain an incredible relationship.